Recommended for: Bordeaux, Rioja, Brunello, Cabernet Sauvignon, Merlot, Shiraz, Blaufränkisch and Zweigelt. The Zalto Denk'Art Bordeaux glass is recommended for wines full of character and high in tannins. Accentuates potency, concentration, extract and tannins. Especially for: Bordeaux, Rioja, Brunello, Cabernet Sauvignon, Merlot, Shiraz, Blaufränkisch and Zweigelt. Lead-Free. Dishwasher-Safe. I ordered an engraved wine holder & have not received it yet. When can I expect to see it? 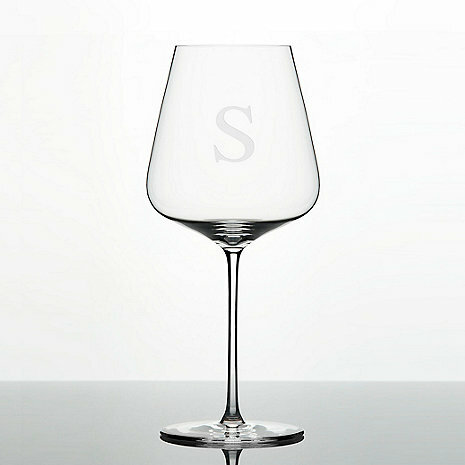 I Love the Zalto wine glass! It is hand blown and absolutely beautiful! I got it for a gift & I am sure that my friend will love it! It came highly recommended and I am sure that it will not disappoint. I was even able to engrave it!